A process for preparing an aqueous polymer dispersion using alkenes having from 5 to 12 carbon atoms. are used and the monomers A to D adding up to 100 wt .-%, which is characterized in that at least 50 wt .-% of the total amount of monomers A and optionally up to 10 wt .-% each of the total amounts of monomers B to D are placed in the polymerization vessel before initiating the polymerization reaction and any remaining residual amount of monomers A and the total amounts or, if appropriate, remaining amounts of monomers B to D are supplied to the polymerization vessel under polymerization conditions. A process for preparing polymers based on alkenes and other co-polymerizable ethylenically unsaturated compounds are well known in the art. B. Klumperman et al 2004 37 4406-4416, Macromolecules, Pages, taking the copolymerization (Journal American Chemical Society, 2001, 123 takes place substantially in the form of a solution for example, see A. Sen et al, pages 12738 bis12739.. ; A. Sen et al, Journal of polymer Science, Part a:. polymer Chemistry, 2004, 42 (24), pages 6175-6192; WO 03/042254, WO 03/091297 or EP-a 1384729) or in the form of a aqueous emulsion polymerization, this takes place in particular on the basis of the lowest alkene, ethene (see beispielswei- se US-A 4,921,898, US-A 5,070,134, US-A 5,110,856, US-A 5,629,370, EP-A 295727, EP-A 757 065, EP A 1 114833 or DE-A 19620817). To radically initiated aqueous emulsion polymerization using higher alkenes is as following prior art. In DE-OS 1720277 a process for the preparation of film-forming aqueous polymer dispersions using vinyl esters and 1-octene is disclosed. Here, the weight ratio of vinyl ester to 1-octene of 99: 1 to 70:30. 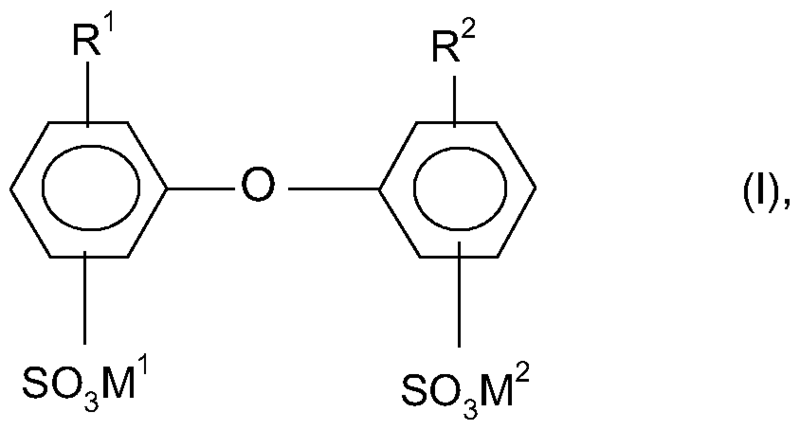 Optionally, the vinyl esters can be used with other copolymerizable ethylenically unsaturated compounds for the emulsion polymerization to a minor extent in the mixture. Chlorotrifluoroethylene, trifluoroacrylate, maleic anhydride or Methyltrifluoracrylat, yielded polymers with a substantially higher propene or copolymers with higher molecular weights, than when using the conventional in-radically initiated aqueous emulsion polymerization of ethylenically unsaturated compounds, vinyl acetate, vinyl chloride, methyl acrylate, butyl. This behavior is due in particular transfer reactions with the typical of the higher alkenes Wasserstoffradikalübertra-. In the by the applicant under the registration mark DE 10 2005 035 692.3 switched gereichten German patent application the preparation of aqueous polymer dispersions based on 5 to 12 carbon atoms is disclosed having Direction alkenes. The 5 to 12 carbon atoms having alkenes are metered into the polymerization mixture under polymerization conditions. The present invention was based on the object of improving manufacturing processes for aqueous polymer dispersions in terms of the achievable monomer conversions the process disclosed in the German patent application DE 10 2005 035 692.3. Surprisingly, the object was achieved by the method initially defined. The procedure for free radical emulsion polymerizations of ethylenically unsaturated monomers in an aqueous medium has been widely described and the person skilled therefore sufficiently well known [cp. . This emulsion polymerization in Encyclopedia of Polymer Science and Engineering, Vol 8, pages 659 et seq (1987). DC Black- ley, in High Polymer Latices, Vol 1, pages 35 et seq (1966)..; H. Warson, The Applications of Synthetic Resin Emulsions, Chapter 5, pages 246 et seq (1972). D. Diederich, Chemie in our times 24, pages 135-142 (1990); Emulsion Polymerization, Interscience Publishers, New York (1965); DE-A 40 03 422 and Dispersionen synthetischer high polymers, F. Hölscher, Springer-Verlag, Berlin (1969)]. The free-radically initiated aqueous emulsion polymerization reactions are usually carried out in such a way that the ethylenically unsaturated monomers with co-use of dispersants, dispersed in the aqueous medium in the form of monomer droplets and polymerized using a radical polymerization initiator. From this procedure, the present method only cutting in a specific application and the specific Monomerenzusammenset- Monomerenzuführung differs. In the present inventive method, water is often used in drinking water quality, but most preferably deionized water is used, the total amount thereof is such that it> _ 30 and <_ 90 wt .-%, and advantageously> _ 40 and <_ 75 wt .-% , based on the accessible by the inventive process aqueous polymer dispersion is. According to the invention it is possible to provide a portion or the total amount of water in the polymerization vessel and to meter in the optionally remaining amount of water after initiation of the polymerization reaction. Here, the optionally remaining amount of water can be added continuously to the polymerization vessel batchwise in one or more portions or by constant or varying flow rates. In particular, advantageously, the metering of water takes place continuously with constant flow rates, in particular as a constituent of an aqueous monomer emulsion and / or an aqueous solution of the radical initiator. the 1-alkenes are preferably used, for example, pentene-1, hexene-1, heptene-1, octene-1, nonene-1, decene-1, undecene-1, dodecene-1, 2,4,4-trimethylpentene-1 , 2,4-dimethylhexene-1, 6,6-dimethyl-heptene-1 or 2-methyloct -1. Advantageously, as the monomer A is a 6 to 8 carbon atoms exhibiting alkene, preferably 6 to 8 carbon atoms exhibiting 1-alkene used. Hexene-1, heptene-1 or octene-1 are particularly preferably used. Of course, mixtures of the aforementioned Mo nomere A can be used. As monomers B Ester The following is based on a 3 to 6 C-atoms, in particular a 3 or 4 carbon atoms and having a α, ß-monoethylenically unsaturated mono- or dicarboxylic bonsäure, in particular acrylic acid, methacrylic acid, maleic acid, fumaric acid and itaconic acid and a 1 to 12, carbon atoms, alkanol, preferably a 1 to 8 carbon atoms having alkanol, and particularly a 1 to 4 carbon atoms and having alkanol, in particular methanol, ethanol, n-propanol, isopropanol, n-butanol, 2 -Methylpropanol-1, t-butanol, n-pentanol, 3-methylbutanol-1, n-hexanol, 4-methyl pentanol-1, n-heptanol, 5-methylhexanol-1, n-octanol, 6-methylheptanol-1, n-nonanol, 7-methyloctanol-1, n-decanol, 8-methyl nonanol-1, n-dodecanol, 9-methyl decanol-1 or 2-ethylhexanol-1 use. Preferably, acrylic acid and methacrylic acid methyl, ethyl, n-butyl, iso-butyl, pentyl, - hexyl, -heptyl, -octyl, nonyl, decyl, -2- ethylhexyl, or dodecyl ester, fumaric and dimethyl maleate or di-n-butyl ester used. Of course, mixtures of the abovementioned esters can be used. Hydroxyalkyl esters such as n-hydroxyethyl, n-hydroxypropyl or n-hydroxybutyl acrylate and methacrylate and also compounds such as glycidyl acrylate or methacrylate, Diaceto- nacrylamid and acetylacetoxyethyl acrylate or methacrylate. Of course, mixtures of monomers D can be used. Using 1 to 49.99 wt .-% of monomers A, 50 to 98.99 wt .-% of monomers, B, and 0.01 to 10 wt .-% of monomers used C. As monomers A, in particular, pentene-1, hexene-1, heptene-1, octyl th-1, 3-methylhexene-1, 3-methylheptene-1 and / or 3-methyloct-1, as monomers B in particular n-butyl acrylate acid, methyl acrylate, 2-ethylhexyl acrylate, methyl methacrylate and / or tert-butyl acrylate as monomers, and C especially acrylic acid, methacrylic and / or itaconic acid used. is essential to the process that are placed at least 50 wt .-% of the total amount of monomers A in the polymerization vessel before initiating the polymerization reaction and samtmengen any remaining residual amount of monomers A and the overall or the optionally remaining amounts of monomers B to D to the polymerization vessel under polymerization conditions are applied. Advantageously,> _ 60 wt .-% or> 70 wt .-% and particularly advantageously> 80 wt .-% or 90 wt .- ^% of the total amount, or even the total amount of Mo nomeren A in the polymerization vessel before initiation of the polymerization presented , The addition of any remaining residual amount of monomers A, ie, <50 wt .-%, <40 wt .-%, <30 wt .-%, <20 wt .-% or <10 wt .-% of the total amount of monomers A after initiation of the radical polymerization reaction, it may be conducted batchwise in one portion, discontinuously functions in a plurality of portioning and be continuous with constant or varying flow rates. the total amount is preferably submitted to monomers A in the polymerization vessel before initiating the polymerization reaction. According to the invention, optionally up to 10 respectively can often be presented to <5 wt .-% of the total amounts of monomers B to D in the polymerization vessel before initiation of the polymerization wt .-%. Advantageously, no monomers B to D are placed in the polymerization vessel. The optionally remaining amounts or the total amounts of monomers B to D can the polymerization vessel to initiate the radical polymerization, batchwise in one portion, discontinuously in several portions or be added continuously at constant or varying flow rates. Advantageously, the addition of the monomers B to D are continuously with constant flow rates. Advantageously, the addition of the monomers B to D are in the form of a monomer mixtures ULTRASONIC and with particular advantage in the form of an aqueous monomer emulsion. According to the invention dispersing agents are concomitantly used within the framework of the present process, both as also keep the polymer particles formed in the aqueous medium disperse distribution, thus ensuring the stability of the aqueous polymer dispersion produced the monomer droplets. Suitable dispersants include both the protective colloids usually used for carrying out free radical aqueous emulsion polymerizations and emulsifiers. According to the invention, however, emulsifiers are used as dispersants. Useful nonionic emulsifiers are ethoxylated mono-, di- and tri-alkylphenols (EO units: 3 to 50, alkyl radical: C4 to C12) and also ethoxylated fatty alcohols (EO units: 3 to 80; alkyl radical: Cs to C36). Examples are the Lutensol ® A grades (C 2 Ci4-fatty alcohol ethoxylates, EO units: 3 to 8), Lutensol ® AO-marks (C13C15- oxo alcohol ethoxylates, EO units: 3 to 30), Lutensol ® AT-marks ( Ci Ci 6 8 - fatty alcohol ethoxylates, EO units: 1 1 to 80), Lutensol ® ON brands (C10 oxo alcohol ethoxylates, EO units: 3 to 11) and the Lutensol ® tO brands (C13 oxo alcohol ethoxylates, EO . 3 to 20) from BASF AG. Typical anionic emulsifiers include alkali metal and ammonium salts of alkyl sulfates (alkyl radical: Cs to C12), ethoxylated sulfuric acid monoesters of alkanols (EO units: 4 to 30, alkyl radical: C12 to C 8) and ethoxylated alkylphenols (EO units: 3 to 50, alkyl: C4 to C12), (alkylsulfonic alkyl radical: C12 to Ciβ) and kylarylsulfonsäuren of Al (alkyl radical: Cg to Ciβ). wherein R 1 and R 2 hydrogen atoms or C 4 - to C24 -alkyl and are not simultaneously hydrogen atoms, and may be M 1 and M 2 alkali metal ions and / or ammonium ions, have proven suitable. In the general formula (I), R 1 and R 2 are preferably linear or branched alkyl radicals having 6 to 18 C atoms, in particular having 6, 12 or 16 carbon atoms or hydrogen, where R 1 and R 2 are not both simultaneously hydrogen atoms. M 1 and M 2 are preferably sodium, potassium or ammonium, with sodium being particularly preferred. Particularly advantageous compounds (I) in which M 1 and M 2 sodium order, R 1 is a branched alkyl radical having 12 carbon atoms and R 2 is a H atom or R. 1 Industrial mixtures are used which have a share of 50 to 90 wt .-% of the monoalkylated product, for example Dowfax ® 2A1 (trademark of Dow Chemical Company). The compounds (I) are generally known, eg from US-A 4,269,749, and are commercially available. Suitable cationic emulsifiers are usually a Ce- to Ciβ alkyl, - alkylaryl or heterocyclic group ze containing primary, secondary, tertiary or quaternary ammonium salts, alkanolammonium salts, pyridinium salts, Imidazoliniumsal-, oxazolinium salts, morpholinium salts, thiazolinium salts and also salts of amine oxides, quinolinium, isoquinolinium, tropylium, sulfonium and phosphonium. Examples include dodecylammonium acetate or the corresponding sulfate, the sulfates or acetates of the various 2- (N 1 N 1 N- trimethylammonium) ethylparaffinsäureester, N-Cetylpyridiniumsulfat, N- Laurylpyridiniumsulfat and N-Cetyl-N, N, N-trimethylammoniumsulfat, N- N (lauryl) ethylendiamindisulfat dodecyl N, N, N-trimethylammoniumsulfat, N-octyl-N, N, N-trimethlyammoniumsulfat, N 1 N- distearyl-N, N-dimethylammonium sulfate, and also the gemini surfactant N '1, ethoxylated tallow -N-methyl ammonium sulfate and ethoxylated oleylamine (for example Uniperol.RTM ® AC from. BASF AG, about 12 ethylene oxide). Numerous other examples are found in H. Stache, Tensid-Taschenbuch, Carl-Hanser-Verlag, Munich, Vienna, 1981 and in McCutcheon's, Emulsifiers & Detergents, MC Publishing Company, Glen Rock, 1989. It is advantageous if the anionic counter groups as possible are low nucleophilicity, such as perchlorate, sulfate, phosphate, nitrate and carboxylates such as acetate, trifluoroacetate, trichloroacetate, propionate, oxalate, citrate, benzoate, and conjugate anions of organic, such as methyl sulfonate, methylsulfonate trifluoro- and para-toluenesulfonate , also tetrafluoroborate, tetraphenylborate, tetrakis (pentafluorophenyl) borate, tetrakis borate [bis (3,5-trifluoromethyl) phenyl] Hexafluo- pyrophosphate, hexafluoroarsenate or hexafluoroantimonate. The emulsifiers preferably used as dispersing agents are advantageously used in a total amount of> _ 0.005 and <10 wt .-%, preferably> 0.01 and <5 wt .-%, in particular> _ 0.1 and <3 wt .-% , in each case based on the total monomer used. The total amount of protective colloids used as dispersing agents in addition to or instead of the emulsifiers is often> _ 0.1 and <_ 10 wt .-%, and often> _ 0.2 and <_ 7 wt .-%, each based on the total monomer. However, anionic and / or nonionic emulsifiers, and particularly preferred anionic emulsifiers are preferably used as dispersants. Azobis (amidinopropyl) dihydrochloride (AIBA, corresponding to V-50 from Wako Chemicals). Suitable oxidizing agents for redox initiator systems are essentially the abovementioned peroxides into consideration. Corresponding reducing agents sulfur compounds with a low oxidation state, such as alkali metal, for example potassium and / or sodium sulfite, alkali metal such as potassium and / or sodium hydrogen sulfite, alkali metal such as potassium and / or sodium metabisulfite, formaldehyde, for example potassium and / or Natriumformal- formaldehyde-sulfoxylate, finsäuren alkali metal salts, especially potassium and / or sodium salts of aliphatic sulfonic and alkali metal hydrogen sulfides, such as potassium and / or sodium umhydrogensulfid, salts of polyvalent metals such as iron (II) sulfate, iron (II) - ammonium sulfate, iron (II) phosphate, enediols, such as dihydroxymaleic acid, benzoin and / or ascorbic acid and reducing saccharides such as sorbose, glucose, fructose and / or dihydroxyacetone. In general, the amount of the radical initiator used, based on the total monomer, 0.01 to 5 wt .-%, preferably 0.1 to 3 wt .-% and especially preferably 0.2 to 1, 5 wt .-%. According to the invention the total amount of the radical initiator may be presented in the aqueous reaction medium prior to initiation of the polymerization reaction. It is also possible, if appropriate, only to present a subset of the radical initiator in the aqueous reaction medium prior to initiation of the polymerization reaction and then adding continuously or intermittently the total amount or any remaining residual amount of the rate of consumption under polymerization conditions during the novel free-radical emulsion polymerization. Under the initiation of the polymerization reaction of the start of the polymerization of the monomers is present in the polymerization vessel understood by radical formation of the radical initiator. The initiation of the polymerization by the addition of free radical initiator can be carried out to the aqueous polymerization mixture in the polymerization vessel under polymerization conditions. However, it is also possible that a portion or the total amount of the radical initiator to the monomeric submitted ren containing aqueous polymerization mixture in the polymerization under conditions which are not suitable to trigger a polymerization reaction, for example at low temperature, are added and thereafter, in an aqueous polymerization mixture polymerization conditions are set. Under polymerization conditions are generally those temperatures and pressures under which the aqueous emulsion polymerization of free-radically initiated proceeds with sufficient rate of polymerization. They are particularly depends on the radical initiator. Type and amount of radical initiator, polymerization temperature and polymerization are advantageously selected such that the free radical initiator has a half-life <3 hours, particularly advantageously ^ 1 hour, and very particularly advantageously <_ comprises 30 minutes and thereby are always sufficient initiating radicals available to the polymerization reaction to initiate or maintain. Suitable reaction temperatures for the inventive free-radical aqueous emulsion polymerization is the entire range from 0 to 170 ° C into consideration. As a rule, temperatures of from 50 to 120 ° C, frequently applied 60-1 10 ° C and often from 70 to 100 ° C. The radical aqueous emulsion polymerization according to the invention can be (absolute) at a pressure less than, equal to or greater than 1 bar, so that the polymerization temperature may exceed 100 ° C and can be up to 170 ° C. Highly volatile monomers such as 2-methylbutene-1, 3-methylbutene-1, 2-methylbutene-2, butadiene or vinyl chloride polymerized under superatmospheric pressure. In this case, taking the pressure is 1, 2, 1, 5, 2, 5, 10, 15 bar or even higher values. If emulsion polymerizations are carried out in vacuum pressures of 950 mbar, frequently 900 mbar and often 850 mbar (absolute) are set. the radical aqueous E- invention is advantageously muslionspolymerisation at 1 atm (1, 013 bar absolute) under an inert atmosphere, such as carried out for example under nitrogen or argon. The aqueous reaction medium can in principle also comprise water-soluble organic solvent, such as methanol, ethanol, isopropanol, butanols, pentanols, and also acetone, etc.. The inventive method is preferably, however, carried out in the absence of such solvents. In addition to the aforementioned components, radical chain transfer compounds in the inventive method can optionally be used to re- duce the molecular weight of polymers or accessible by the polymerization to control. In this case, substantially aliphatic and / or ara- liphatische halogen compounds such as n-butyl chloride, n-butyl bromide, n-butyl iodide, methylene chloride, ethylene dichloride, chloroform, bromoform, Bromtrichlor- methane, dibromodichloromethane, carbon tetrachloride, carbon tetrabromide, Benzylch- dichloride, benzyl bromide , organo-sulfur compounds, such as primary, secondary or re tertiä- aliphatic thiols such as ethanethiol, n-propanethiol, 2-propanethiol, n-butanethiol, 2-butanethiol, 2-methyl-2-propanethiol, n-pentanethiol, 2-pentanethiol , 3-pentanethiol, 2-methyl-2-butanethiol, 3-methyl-2-butanethiol, n-hexanethiol, 2-hexanethiol, 3-hexanethiol, 2-methyl-2-pentanethiol, 3-methyl-2-pentanethiol, 4 methyl-2-pentanethiol, 2-methyl-3-pentanethiol, 3-methyl-3-pentanethiol, 2-Ethylbutanthiol, 2-ethyl-2-butanethiol, n-heptanethiol and its isomeric compounds, n-octanethiol and its isomeric compounds , n-nonanethiol and its isomeric compounds, n-decanethiol and its isom older compounds, n-undecanethiol and its isomeric compounds, n- dodecanethiol and its isomeric compounds, n-tridecanethiol and its isomeric compounds, substituted thiols, such as 2-hydroxyethanethiol, see aromatic thiols such as thiophenol ortho-, meta-, or para-methylbenzenethiol, and any other in the polymer Handbook edtition 3 rd, 1989, J. Brandrup and EH Immergut, John Weley & Sons, section II, pages 133 to 141, sulfur compounds described, as well as aliphatic and / or aromatic aldehydes such as acetaldehyde , dehyd propionaldehyde and / or benzaldehyde, unsaturated fatty acids such as oleic acid, dienes having non-conjugated double bonds, such divinylmethane or vinylcyclohexane or hydrocarbons having easily abstractable hydrogen atoms, such as toluene, is used. but it is also possible to use mixtures not use mutually compatible, abovementioned free-radical chain transfer compounds. The total amount of free-radical chain transfer compounds based on the total monomer used optionally in the process of this invention is usually <5 wt .-%, often <3 wt .-%, and frequently <1 wt .-%. It is advantageous when a portion or the total amount of the compound radicalized kalkettenübertragenden optionally employed is supplied to the reaction medium before the initiation of the radical polymerization. In addition, a portion or the overall total quantity may be the radical chain transfer connection to the aqueous reaction medium advantageously also be fed during the polymerization together with the monomers B to D.
The compounds obtainable by the process of the invention polymers can principles-Piell have glass transition temperatures ranging from -70 to +150 ° C, often -30 to +100 ° C, often -20 to + 50 ° C. Where the aqueous polymer dispersion for the production of adhesives, especially pressure sensitive adhesives are used, the monomers A to D selected such that the polymer has a glass transition temperature T 9 has <_ +20 ° C. Often, the monomers A to D chosen such that polymers with a Tg <0 C +10 <0 0 C <-10 0 C, <-20 0 C, <-30 0 C, <-40 0 C or <_ -50 ° C are formed. but it can also be produced polymers whose glass transition temperatures between -70 and +10 ° C, -60 to -10 ° C or -50 to -20 ° C. Under glass transition temperature here is the midpoint temperature mid- understood according to ASTM D 3418-82, determined by Differentialthermo- analysis (DSC) [cf.. also Ullmann's Encyclopedia of Industrial Chemistry, page 169, Verlag Chemie, Weinheim, 1992, Zosel in paint and varnish, 82, pages 125 to 134, 1976]. Optionally, the aqueous emulsion polymerization of free-radically initiated, even in presence of a polymer, for example in the presence of 0.01 to 3 wt .-%, frequently from 0.02 to 2 wt .-%, and often from 0.04 to 1, 5 wt. -% of a polymer, based on the total monomer amount. A polymer seed is used in particular when the particle size of the to be manufactured by means of free-radical aqueous emulsion polymerization the polymer particles to be selectively adjusted (see for example US-A 2,520,959 and US-A 3,397,165). In particular, a polymer seed is used, often have a narrow particle size whose polymer and weight average diameter D w ^ 100 nm, often> 5 nm to <50 nm and M 5 nm to <35 nm. The determination of the weight average particle diameter is known in the art and for example, via the method of analytical ultracentrifugation. By weight-average particle diameter is understood W 5o value in this document as determined by the method of the analytical ultracentrifuge weight-average D (see. This SE Har- ding et al., Analytical ultracentrifugation in Biochemistry and Polymer Science, Royal Society of Chemistry, Cambridge, Great Britain 1992, Chapter 10, Analysis of polymer Dispersions with at Eight-Cell AUC multiplexer: high resolution Particle Size distribution and density gradient Techniques, W. Mächtle, pages 147 to 175),. Typically, the polymer seed is used in the form of an aqueous polymer dispersion. The aforementioned quantities refer to the polymer solids of the aqueous polymer seed dispersion; they are therefore useful as parts by weight of polymer seed, based on the total monomer amount indicated. If a polymer is used, an alien polymer seed is used to advantage. In contrast to a so-called in situ polymer, which is prepared before the start of the actual emulsion polymerization in the reaction vessel and which has the same monomeric composition as that initiated by the subsequent free radical aqueous emulsion polymerization prepared polymer, is understood to be an alien polymer seed, a polymer seed, in a separate reaction step was made and the monomeric composition of the product prepared by the radically initiated aqueous emulsion polymer is different, but this does not mean anything else than that used for the preparation of the alien polymer seed and for the preparation of the aqueous polymer different monomers or monomer mixtures of different composition become. The preparation of an alien polymer seed is familiar to the skilled person and is usually such that a relatively small amount of monomers and a relatively large amount of emulsifiers placed in a reaction vessel and at reaction temperature for a sufficient amount of polymerization initiator is added. an exogenous polymer having a glass transition temperature> 50 ° C, often> 60 ° C or> 70 ° C, often> 80 ° C or> 90 ° C is preferably used according to the invention. Particularly preferred is a polystyrene or polymethyl methacrylate polymer seed one. The total amount of alien polymer seed may be presented together with the monomers A in the polymerization vessel. However, it is also possible to provide only a subset of the alien polymer seed with monomers A in the polymerization vessel and to add the remaining amount during the polymerization together with the monomers B to D. If necessary, but also the Gesamtpolymersaatmenge can admit during the polymerization. Preferably, the total amount of exogenous polymer seed is introduced before initiation of the polymerization in the polymerization vessel. According to the invention aqueous polymer dispersions typically have a polymer solids content of> 10, and <_ 70 wt .-%, frequently ^ 20 and <65 wt .-% and often> 25 and <60 wt .-%, each based on the aqueous polymer dispersion, on. determined the quasielastic light scattering (ISO standard 13 321), number average particle diameter (cumulant z-average) is generally be- see 10 and 2000 nm, often between 20 and 1000 nm, often between 100 and 700 nm and 100 to 400 nm. the residual content of unreacted monomers and other low-boiling compounds by the skilled person also known chemical and / or physical methods [see for example EP-A 771328, DE-A 19624299, DE-A 19621027, DE-A 19741 are frequently used in the aqueous polymer dispersions obtained 184, DE-A 19741 187, DE-A 19805122, DE-A 19828183, DE-A 19839199, DE-A 19840586 and 198471 15] reduced. The dispersions obtainable by the process of the invention aqueous polymerizate have a significantly higher monomer conversion at the same polymerization time, or a higher polymer solids content after completion of polymerization reaction. can dispersions obtainable by the process of the invention aqueous polymerizate in particular for the production of adhesives, sealing compounds, plastics renders, paper coating slips, nonwovens, paints and coating materials for organic substrates, such as leather or textile fabrics, and are used for the modification of mineral binders. When used as an adhesive, in particular as pressure-sensitive adhesive, ie, a tackifying resin obtainable by the process of the invention aqueous polymer dispersions preferably a tackifier. Tackifiers are, for example, from Adhesive Age, July 1987 pages 19 to 23 or Polym. Mater. Be. Closely. 61 (1989), pages 588-592, is known. Examples of tackifiers are natural resins, such as rosins and their derivatives formed by disproportionation or isomerization, polymerization, dimerization, or hydrogenation. These can be in their salt form (with, for example, monovalent or polyvalent counterions [cations]), or preferably, in their esterified form. Alcohols which are used zurVereste- tion can be single or multi-valued. Examples are methanol, E- ethanediol, diethylene glycol, triethylene glycol, 1, 2,3-propanetriol (glycerol) or pentaerythritol. Also used, furthermore, hydrocarbon resins such as coumarone-indene resins, Polyter- pen resins, hydrocarbon resins based on unsaturated CH compounds, such as butadiene, pentene, methylbutene, isoprene, piperylene, divinylmethane, pentadiene, cyclopentene, cyclopentadiene, cyclohexadiene, styrene , α-methyl styrene or vinyl toluenes use. As tackifiers are increasingly polyacrylates which have a low molecular weight is used. These polyacrylates preferably have a molecular weight below 30,000 gewichtsmittle- res g / mol. The polyacrylates are preferably at least 60, especially at least 80 wt .-% of Ci-Cs-alkyl acrylates or - methacrylates. Preferred tackifiers are natural or chemically modified rosins. KoIo- phoniumharze consist primarily of abietic acid or Abietinsäurede- rivaten. The tackifiers can be added in a simple manner according to the invention aqueous polymer dispersions. Preferably, the tackifiers are even in the form of an aqueous dispersion. The amount of the tackifiers is preferably from 5 to 100 wt .-%, particularly 10 to 50 wt .-%, each based on the total amount of the polymer (solids / solids). Besides tackifiers course, other conventional additives, such as thickening agents, defoamers, plasticizers, pigments, wetting agents or fillers can be used in the formulation of pressure sensitive adhesives. The aqueous polymer dispersions may be prepared by conventional methods, for example by rolling, knife coating, spreading, etc., to substrates such as paper or polymer tapes and films, preferably consisting of polyethylene, polypropylene, which may be biaxially or monoaxially oriented, polyethylene terephthalate, polyvinyl chloride, polystyrene, polyamide or metal surfaces are applied. The water can be easily removed by drying at 50 to 150 ° C. For subsequent use, the PSA-coated side of the substrates, such as labels or ribbons can with a release paper, for example with a siliconized paper, are covered. The compounds obtainable by the process of the invention aqueous polymer dispersions are advantageously suitable as a component in adhesives, in particular pressure sensitive adhesives. These adhesives of the present invention advantageously have improved adhesion to plastic surfaces, especially polyethylene surfaces. In a 4 l four-necked flask equipped with an anchor stirrer, reflux condenser, and two metering devices (room temperature), 42.4 g of an aqueous polystyrene (solid content 33 wt .-% were at 20 to 25 ° C and under a nitrogen atmosphere 970 g of deionized water , number average particle diameter 32 nm), 212 g of octene-1, 12.3 g of a 40 wt .-% aqueous solution of emulsifier K30 ® from. Lanxess, LE verkusen (mixture of primary and secondary sodium alkylsulfonates with an average chain length of 15 carbon atoms) and 1, 5 g sodium persulfate, and heated with stirring to 90 ° C. After the temperature was reached, the monomer feed, consisting of 600 g deionized water, 12.3 g of a 40 wt .-% aqueous solution of emulsifier K30 ®, 11, 2 g of a 25 wt .-% aqueous solution of sodium hydroxide, 1184 grams of n-butyl acrylate and 5.6 g of allyl methacrylate and the initiator feed, consisting of 110 g deionized water and 8.3 g sodium persulfate, started simultaneously with the monomer feed made within 3 hours and the initiator feed over 3.5 hours was added continuously. Then allowed the aqueous polymer dispersion obtained at 90 0 C. for a further 2 hours and then cooled to react for this to room temperature. The aqueous polymer dispersion had a solids content of 45 wt .-%, based on the total weight of the aqueous polymer dispersion. The glass transition temperature of the polymer was -47 ° C.
The solids content was determined by drying a defined amount of the aqueous polymer emulsion (about 5 g) was dried substance at 140 ° C in a drying cabinet until constant weight. There were two separate measurements. The value specified in the example represents the average of the two results. The glass transition temperature was in accordance with DIN 53765 using a DSC 820 instrument, series TA 8000, from. Mettler-Toledo. was carried out analogously to the comparative example to the inventive example, but with the difference that the total amount was of 212 g of octene-1 jointly added with the monomer. The aqueous polymer dispersion had a solids content of 40 wt .-%, based on the total weight of the aqueous polymer dispersion. The glass transition temperature of the polymer was -44 ° C.
be used and add the monomers A to D to 100 wt .-%, characterized in that at least 50 wt .-% of the total amount of monomers A and optionally up to 10 wt .-% each of the total amounts of monomers B to D in polymerization are introduced prior to initiation of the polymerization reaction and any remaining residual amount of monomers A and the total amounts or, if appropriate, remaining amounts of monomers B to D are supplied to the polymerization vessel under polymerization conditions. 3. The method according to any one of claims 1 and 2, characterized in that a 1-alkene is used as monomer A. 4. The method according to any one of claims 1 to 3, characterized in that as the monomer B is an ester on the basis of 3 or 4 carbon atoms and having a α, ß-monoethylenically unsaturated mono- or dicarboxylic acid and a 1 to 8 carbon atoms having alkanol is used. 5. The method according to any one of claims 1 to 4, characterized in that a 6 to 8 carbon atoms exhibiting alkene is used as monomer A. 6. The method according to any one of claims 1 to 5, characterized in that at least 80 wt .-% are introduced to the total amount of monomers A before initiating the polymerization reaction in the polymerization vessel. 7. A method according to any one of claims 1 to 6, characterized in that the total amount of monomers A are introduced prior to initiation of the polymerization reaction in the polymerization vessel. 8. The method according to any one of claims 1 to 7, characterized in that the total amounts or, if appropriate, remaining amounts of monomers B to D are metered continuously into the polymerization vessel under polymerization conditions with constant flow rates. 9. The method according to any one of claims 1 to 8, characterized in that the total amounts or, if appropriate, remaining amounts of monomers B to D are metered into the polymerization vessel under polymerization conditions as a monomer mixture. 10. The method according to claim 9, characterized in that the total amounts or, if appropriate, remaining amounts of monomers B to D to the polymerization vessel in the form of an aqueous monomer emulsion are added. ES2211182T3 (en) * 1999-10-19 2004-07-01 Sudzucker Aktiengesellschaft Mannheim/Ochsenfurt Emulsion polymerization process.